Tyler Taormina is an independent filmmaker and producer based in Los Angeles. He began his career shooting web pilots and developing children’s television shows with the Tom Lynch Company. He transitioned into filmmaking with several music videos for LA-based noise-rock bands Snowball ii, Edison Moth, Cloud and more. Tyler has since begun carving out his own path in cinema, experimenting with the capabilities of a large ensemble cast when approached with philosophical and spiritual curiosity. All of the teenagers in Haley’s hometown dress in their grandparent’s bests on what is said to be, “the most important day of their lives.” With nervous excitement, they make a scattered pilgrimage across town, drawn to an unknown fate. Haley walks at a more reluctant pace, skeptical of the timeworn tradition and the bizarre coming-of-age ritual that awaits them at their destination. When they finally arrive at Monty’s, a local delicatessen, the clusters of local teens join together in a surreal ceremony of food, dance, and romantic angst. The night culminates with an explosively metaphysical encounter, before the setting sun brings an end to the ordeal and to their collective youth. 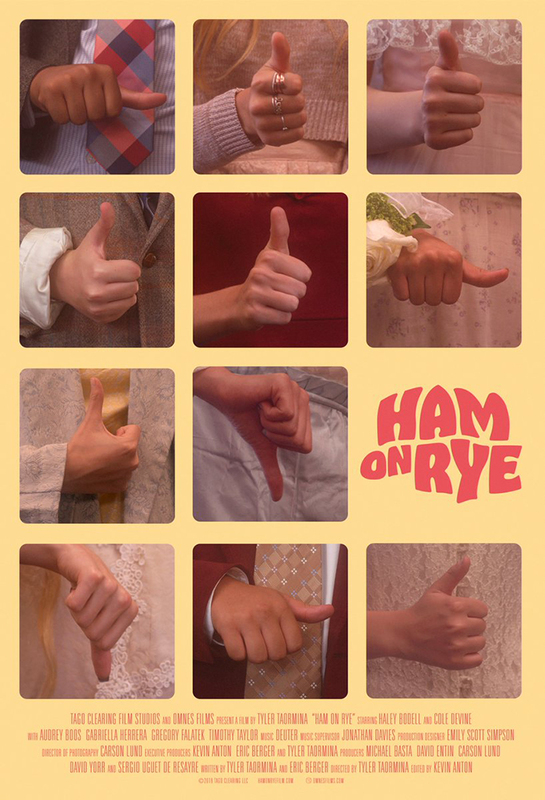 Ham on Rye uses an expansive ensemble of over 100, including non-actors, shoegaze musicians, 90’s Nickelodeon child stars and more, to explore a suburban community’s relationship with a prom-like ritual and the decay of the human spirit. The film is a two part effort that seeks to capture all of the innocence and joy of youth, only to be abruptly halted by the bleak realities of adulthood. On family reunion day, Amelie feels out of place and lonely as her favorite cousin brings a lover over for the first time. Noticing their young passionate love, she allows her own fantasies to run wild, although some sensations are a lot more powerful than she thought.